Hello and welcome! You must be an artist or an artisan, aren’t you? Are you trying to make a living by producing and selling handmade goods, complement your day-time job earnings or supplement your retirement income? I’d appreciate if you reply to my questions in the comment area under this article. You are here to learn where and how to sell crafts online, aren’t you? 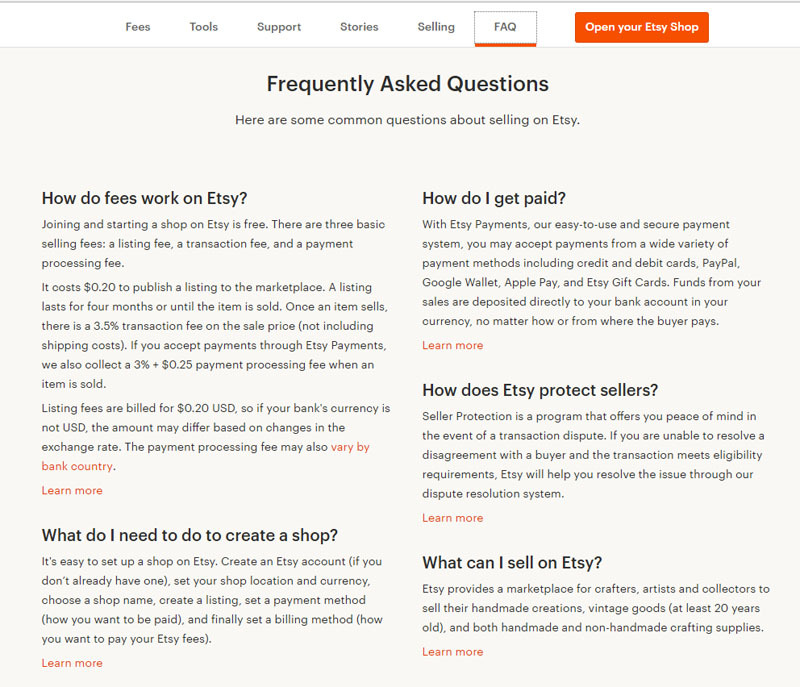 FAQ about selling on Etsy. Click image to enlarge. Your Competition at a Chosen Location || How many other merchants sell similar items? Fees Charged by an Online Store || Are there recurrent membership fee, listing fee (for what period? ), transaction fee, a commission from each of your sale, payment processing fee? Are these fees flat (in fixed dollar amount) or percentage of your sale price? Whether Your Product Fits Accepted Categories. Application and Approval Process || What’s criterion and wait time to receive approval or denial? Time Invested in Your Product Creation. Let’s look a little closer into each of the sites through the filter of our concerns listed above. The video below explains Shopify for Artisans. 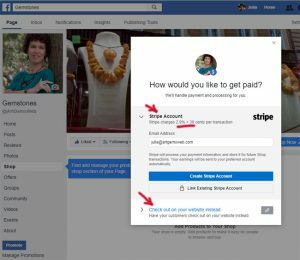 The publisher and Shopify affiliate marketer Sarah Sewell speaks in details on how robust and flexible the platform is. The only part she is not touching on is the price. Sarah tells you that Shopify has a strong support team, which can help you develop an awesome custom store. You can hire a designer or a developer to work for you on your website, which is wonderful if you have a budget for such services. Let’s look deeper into your options. Amazon has over 300 million active users and eBay – over 170 million. These sites are secure; you are in the good hands there. Or, are you? These sites are definitely well protected, but they are also most attractive for the hackers, right? Facebook is another giant with a high-standard security system and 2.2 billion active users. You are familiar with selling strategy on each of these sites and you know tips and tricks for each of them. If you are a sole proprietor running a small business and all of your goods belong to the same category and are produced steadily and consistently then Amazon and eBay might work for you. Of course, you’d need to make your own calculations and see if after investing in advertisement and paying all the fees, your business is still profitable for you. Then, you’d want to learn from experts the most effective practice of selling on either platform, wouldn’t you? Trust me, learning through trial & error may cost you a lot. You want to earn – not to lose money, right? A quality training should also cost money. That’s true, but… I know a place where you can receive such training for FREE. Keep reading, my friend, I’ll share my secret advice with you below. Lately, Shopify and Etsy became pretty common websites to sell handmade items. An individual running own business, or someone who is creative and skillful, and produces occasional works of different types, can use these online shops. Again, some estimates must be done upfront and there is a learning curve. 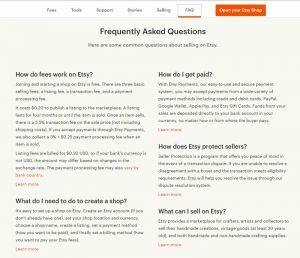 The number of potential shoppers and, of course, the number of competitors are big enough, and yet manageable Etsy welcomes 31.7 million active shoppers, which is a huge number of your potential customers. Do you agree? And yet, comparing to Amazon’s 300 million users, it’s almost nothing. Before I open up my big secret to you, I’d like to give a few more tips to the creative people, who want to sell their artworks every now and then. While Facebook has its limitations for sales, as an individual, you can use it quite effectively. Facebook and Craigslist allow you selling crafts online for free. Please note that if you need to use payment processing service (such as PayPal or Stripe), you’d pay a fee per each transaction regardless of where you store is located. That’s what you are most interested in. Is that so? Facebook will encourage and remind you to boost your product for a fee, but if you have a good network of followers, you may do well without any paid advertisement: post your handmade item in your page’s shop, share on your own timeline, request your friends to share, and post your ad to local Facebook marketplace and in the relevant groups. If you are not consistently restocking your goods, it might be the second-best solution for you after my secret place. Craigslist is also available to individuals in many countries. It is FREE for you. You can choose “For Sale” category and then “Arts+Crafts” (the menu might look slightly different at your location) and post photos and descriptions of your product there. However, it is full of spam, and you need to be very careful and selective when communicating with your potential buyers. Do not give any of your personal contact information; use only email alias available through the website. If possible, arrange to mail the purchased item, and make sure to have actual money in hand (not a check!) before you ship it. When a meeting is required to perform sale & purchase activity, the neutral public location is much safer than your own home. Please note that you are not restricted to using only one eCommerce platform. If your time and budget permits, you can join several platforms. 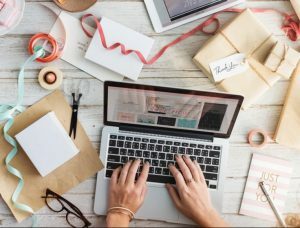 The work you do to showcase your product will be similar for every online store: you’d need to introduce yourself and your business, and present images and descriptions of your products, perhaps create some videos. You’d need to sign up for a payment processing service such as PayPal or Stripe. Whether you are running a small business or selling occasional handmade goods, Wealthy Affiliate is a great place for you to find everything you need. You can join for FREE. You can upgrade to a Premium membership at any time, or never. Articles like this one on how to sell on eBay or Amazon are available to FREE members. You see the value in it, right? Besides, at WA you can learn how to create your own online store, attract traffic using SEO (Search Engine Optimization) technique and save on paying fees to others. WA is good for everyone who wants to learn and start any kind of online business (Affiliate Marketing, e-Commerce, Drop shipping, Local business SEO, etc.) For some of this training, you’d want to upgrade to a Premium membership, and there will be no further upselling. Plenty of valuable step-by-step training, all required tools to build your website, powerful keyword research tool Jaaxy, secure hosting, 24/7 site support, and many more valuable features are available to all Premium members. You can’t walk away from such an amazing platform without checking it out, can you? If you have any questions or would like to share your personal experience on places that sell crafts online, please use the comment area below. I’d be happy to hear from you, and I usually respond within 24 hours. is a founder of LiveWealthyRetirement.com. She is a caregiver to her adult son with disabilities, and therefore a full-time work in a remote office is no longer an option for her. Julia established her own online business to help others with similar needs to work from home on their own schedule. She also teaches people how to achieve financial independence in the senior years even if they were unable to start saving for the retirement in their youth. Very good article, well written and clearly explained so everybody can make a wise decision. It is a jungle out there and knowing what you put your feet as a beginner is crucial. I am glad that you found my article easy to read and follow, and it was helpful for you. I do believe that creating your own online shop and hosting your site securely at Wealthy Affiliate is the most flexible and most reliable solution. Thank you very much for reading and taking the time to comment. All the best to you! I really enjoyed reading your article. So nice to have so many resources in one, convenient location. That makes things so much nicer for the visitor. You have certainly taken the guess work out of where and how to post of selling items on line. Good job! I look forward to reading more information from you. What topics will you post next? Thank you so much for reading the article and for your feedback. Many retired people make wonderful handmade goods as a hobby – because they have time for doing what they enjoy doing. At the same time, they are struggling financially on their Social Security Income. I hope that my article will help them (or their children for them) to put these amazing crafts and artworks for sale and supplement their retirement income. I truly believe that Social Security system is too far away from being good and reliable. My next posts will be about the diverse sources of income that we can create today to support us at the older age. Even if we didn’t start saving for the retirement at a young age, we can still make our senior years financially independent and enjoyable. Did you know that some of the life insurance products could serve your family now as a protection plan from the risk of an unexpected early death, and be your source of the retirement income if you live to the old age? Please visit me again at LiveWealthyRetirememnt.com and get more useful tips on the financial planning and the retirement solutions.